Yes, my child will be attending the practice on May 7th. I confirm that my child is a resident of the Tri-Valley School District. 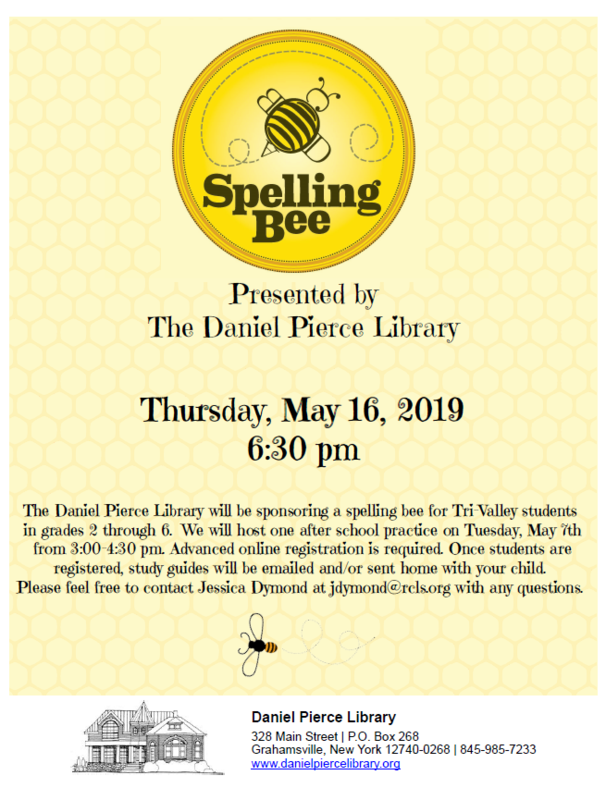 I understand that there will not be a Spelling Bee if less than 6 children register in my child's grade. There must be a minimum of 6 children enrolled from each grade level. If less than 6 children enroll, we WILL NOT hold a Spelling Bee for that grade.